If you consider yourself an avid coffee drinker, and you’ve not come across Bodum yet…really, where have you been? The french press coffee maker, despite being invented almost 90 years ago, is still considered one of the most effective ways to brew your coffee. 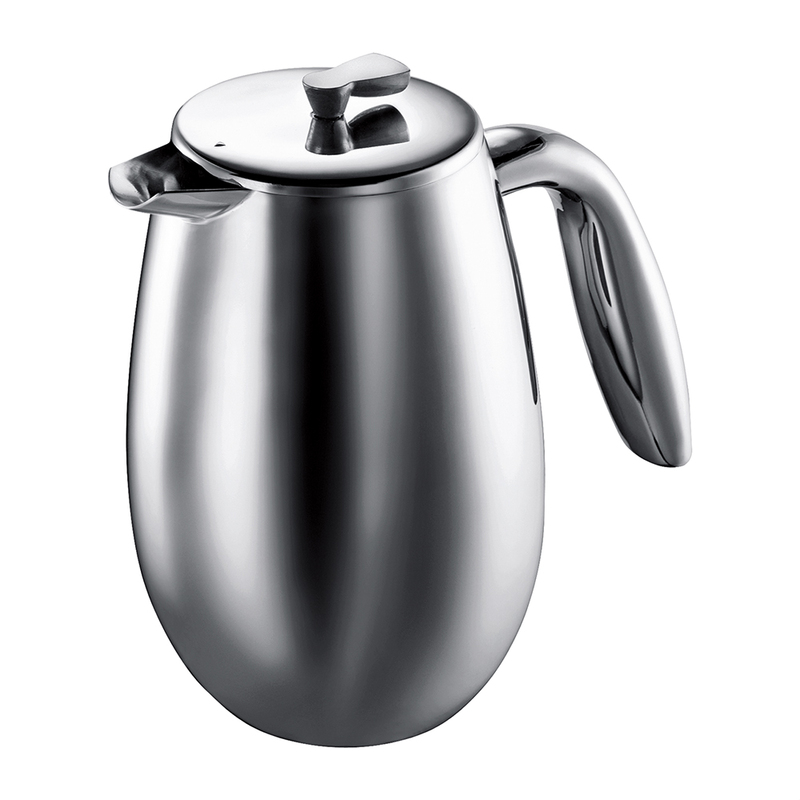 Bodum’s Columbia coffee press range cleverly merges the traditional with the modern. The Columbia would add a timeless elegance to any kitchen with its sleek polished finish. It has a double wall body of durable stainless steel designed to create great heat retention, and a silicone mesh plunger to prevent scratching. It couldn’t be easier to use: simply add your ground coffee, pour in hot water and stir. Brace yourself for four minutes, then gently press the plunger…Yummo! Extract all of the essential oil goodness and rich flavour out of your freshly ground coffee, and immerse yourself into a delicious world with the Columbia coffee maker today! Durable double wall stainless steel constructed body. Plunger made from silicone and mesh, preventing scratching, offering more complete filtration and reducing sediment. Includes a plastic coffee measuring spoon. Dimensions: 15.5cm (l) x 16.5cm (h) x 7cm (w).